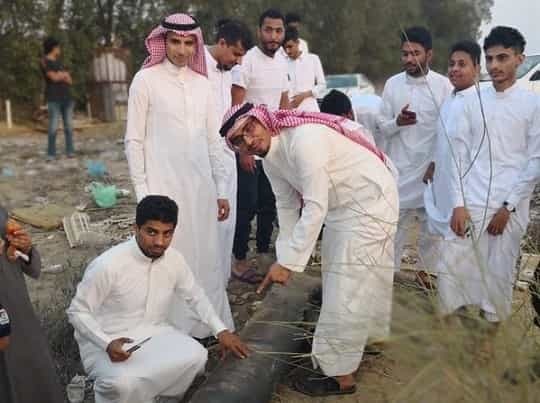 A group of young people in Jazan region, who are picking up "Selfie", showed up with shrapnel from the missile that targeted the city on Wednesday and was intercepted by the Saudi air defense Forces. 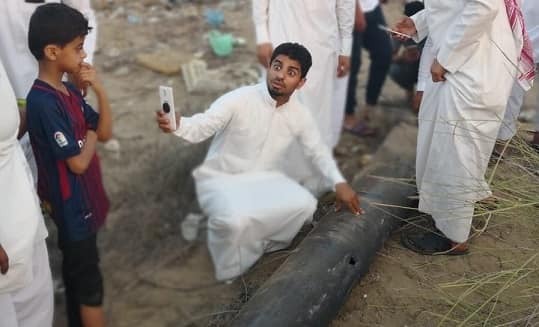 The pictures showed a large number of young people around the rocket fragments smiling and taking pictures of them, referring to their generosity at the futility of the Houthi rockets. 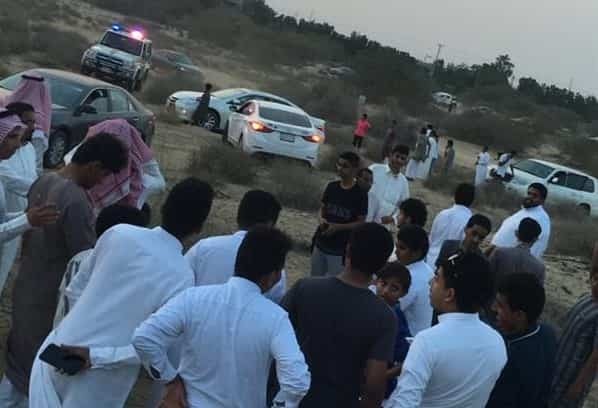 On Wednesday, Saudi air defense forces intercepted three rockets fired by al-Houthi from Yemen on Riyadh, Najran and Jazan areas, and two unmanned aerial vehicles were dropped on Jazan and Abha airport.